When it comes to garage door contractors in Morgantown, IN, there are a lot of different companies out there to choose from. However, it is important to not rely on just any garage door company to repair, replace, or maintain your garage door. You want to find a company that has the expertise and skill to handle your garage door needs. Whether you are in need of garage door maintenance or you need your broken garage door system repaired, you can rely on the team at Garage Door Doctor to leave you with a healthy garage door system. Considered the best garage door contractors in Indianapolis and the surrounding areas, our team is committed to providing our customers with the best garage door services. 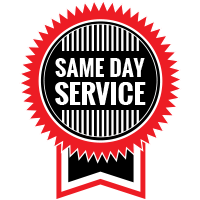 We stand out from the competition by offering same-day and 24-hour emergency garage door services. Plus, we offer the most affordable garage door services in the area — we refuse to be beaten by our competition. Do you use your garage as the main entry and exit point of your home? If so, you’re just like over 70 percent of homeowners. With the importance garages hold, it is essential that they are properly working. Whatever the problem may be that causes your garage door system to stop working, we can find a solution. Additionally, we offer garage door inspections to ensure that your home’s garage door is in great working condition. Broken garage door springs are nothing to mess around with, as they can cause a great deal of damage. Garage door springs retain enough tension to hold up the weight of your garage door. When these torsion springs are unloaded incorrectly, they will break, sending pieces everywhere. Unless you’re a trained professional and have the right tools and knowledge of garage door torsion springs you should never attempt to replace or repair them on your own. In order to prevent the risk of your garage door system breaking down, regular maintenance is needed. Instead of risking DIY garage door maintenance, let our garage door experts help provide you with the residential garage door maintenance service you need to ensure your garage door system is working properly. Interested in replacing your garage door? If so, you are going to need a new garage door installed. At Garage Door Doctor, we carry and install various makes and models of quality garage doors and powerful garage door openers. Our team can help you find the best garage door for your needs! Many businesses and companies rely on a durable, reliable, and powerful commercial garage doors needed for efficient operation. When your commercial or industrial garage door is broken, our team of experts can arrive on-site and get it back up and running. We also can install commercial doors and openers from some of the leading manufacturers! Whether it’s late at night, during the weekend, or even on a holiday, our company will be there to lend you a hand when you need it. 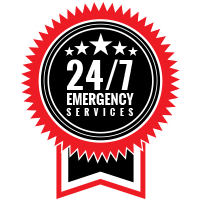 Breakdowns and accidents can take place at any time, which is why we offer 24-hour garage door repair. So, if a faulty garage door is causing you headaches, simply give us a call and let our team find a solution. Don’t let a malfunctioning or broken garage door ruin your day, or even week; let our garage door technicians provide you with professional service to get it back to optimal condition.